There are many different beautiful buildings in Vienna to visit. 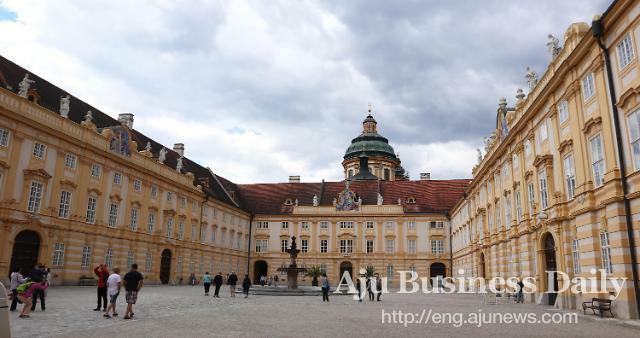 However, it is hard to compare to the one like Belvedere Palace, located in southeastern Innere Stadt. Belvedere is listed as UNESCO World Heritage Site. The Belvedere is an 18th-century palatial complex that has two palaces: Upper and Lower Belvedere. It was designed and built by famous Baroque architect Johan Lucas von Hildebrandt as the summer residence for Prince Eugene of Savoy. Hildebrandt was considered one of the greatest Austrian architects and he was often commissioned to build Prince Eugene's buildings, including famous Schloss Hof that is considered Hildebrandt's masterpiece. The construction of Lower Belvedere began in 1712 and completed in 1716. Upper Belvedere was not initially part of the construction plan, but was originally planned to be a Gloriette that overlooks the garden and the city. 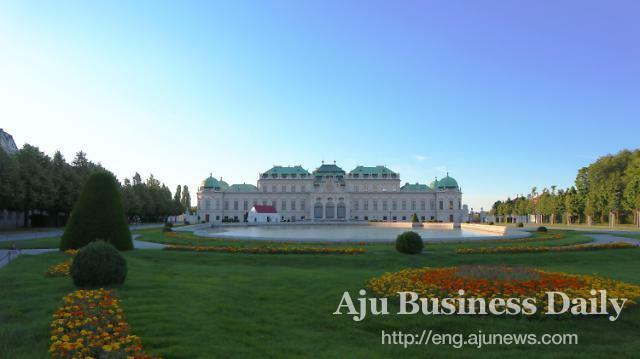 After the completion of Lower Belvedere, the construction of Upper Belvedere Palace that is considered one of the most beautiful Baroque buildings standing began in 1717 and completed in 1723. Currently, two palaces are housing top art collections that range from medieval art to Claude Monet, Vincent van Gogh, and Gustav Klimt. Belvedere Palace houses the largest collection of Gustav Klimt including his most famous works, The Kiss and Judith. You can purchase tickets to see art collections in both Upper and Lower Belvedere, or only visit one of the palaces. You can also book a 60-minute-long private guided tour of art collections for additional €90 on top of the ticket price. To have a private guided tour of Lower Belvedere, it is available with additional €110 on top of the ticket price. The tours have to be booked in advance. If you do not want to see the inside of these palaces and art collection, you can simply walk around the palace ground to admire the beautiful Baroque palaces and the gardens and soak in its beauty.